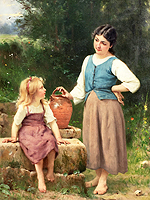 Francois-Alfred Delobbe (French, 1835-1920) "The Little Neighbor" A Fine and Charming Oil on Canvas Depicting a Young Lady Standing next to a Sweet Young Girl Sitting at a Well-Head. Signed at lower center: A. Delobbe. Label on reverse has title and medals Hors Concours Paris, 1874 and 1876. 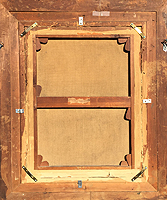 Within an ornate gilt-wood and gesso frame. Circa: 1870. 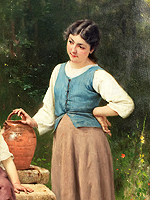 Francois-Alfred Delobbe was a pupil of William Adolph Bourguereau who taught him at the École des Beaux-Arts. 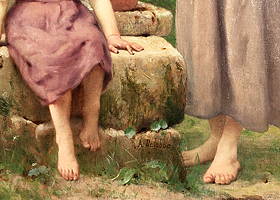 Delobbe's most powerful inspirations were his deep connection to Bouguereau's works and subject matters. 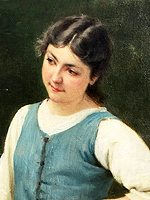 Born in Paris and absorbed in his studies for so many years, the young artist had few opportunities to escape the city. It was not until Delobbe journeyed to Concarneau, the native home of his friend and fellow artist Alfred Guillou, that he began to explore Brittany's rocky fields and ancient villages. 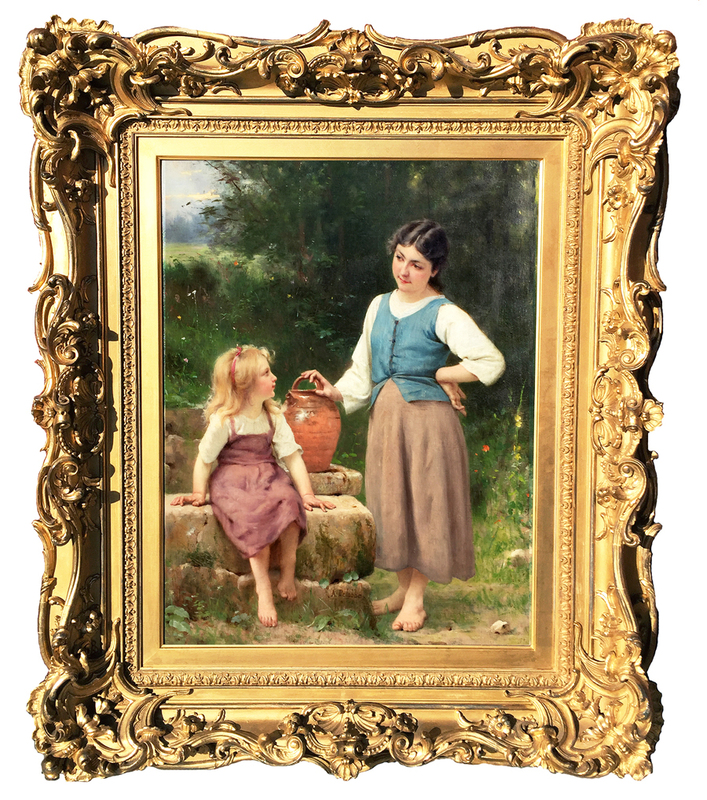 While the region was painted by many of Delobbe's contemporaries, most famously Jules Breton, Delobbe's Parisian upbringing perhaps made him particularly sensitive to the effects of children and charming scenes. Most of his traveling took place in spring and summer, and he used the plein air sketches completed then during the winter in his city studio. Many of his favorite models came from the areas around Beuzec-Cap-Sizun and Lanriec. 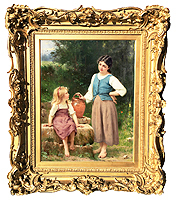 This work by Delobbe closely follows the example of Bouguereau's finely painted portraits of children and young women. 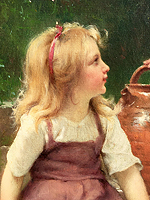 (Click here to view an image of Bourguereau's work titled "At The Fountain" Circa: 1897). As with his mentor's canvases, Delobbe's smooth brushwork erases the presence of the painter and creates a balance between speechless looks and rich background details, textures, and colors. Another work by Delobbe titled "Woman Siftin" was offered and sold at Sotheby's New York on April 18, 2008, Sale N08431, Lot 43 for $181,000 USD (A World Record Sale at Auction for Delobbe).